Fact: Indoor air can be up to 5 times more polluted than outdoor air. The air in your home may smell fresh and clean, but is it really? It’s something important to consider especially if a family member suffers from asthma or other related illnesses. Germs can live in the air for 3 to 4 hours and travel in excess of 10 to 15 feet: Yikes. Think about that next time the person beside you sneezes. A cubic metre of air may contain 15,000 flu viruses: No wonder I’m always sick in the colder months of the year! A carpet can hold 8 times its weight in dirt, pesticides and other toxins. They become undetectable airborne pollutants when dry: I’m cringing thinking about the carpet in my living room and family room. Upholstered furniture’s dust particles may contain decomposing insect parts, pet dander and flakes of skin that are released into the air whenever someone sits down: So much for relaxing on the couch watching TV! Non-allergenic dogs and cats do not exist. Short-haired or hairless pets have dander and contribute allergens just like their long-haired counterparts do. Central air conditioning systems can become a breeding ground for mould, mildew, viruses and bacteria which is then spread throughout the space: Oh my! We just had a system installed this summer. People who are exposed to heavy indoor smoke are two to three times more likely to develop chronic obstructive pulmonary disease. The odours from felt markers, inks, glues, copier toner and other chemicals can emit vapours at room temperature that over time can cause symptoms similar to inhaling formaldehyde: Not good for an office environment! Pretty staggering, right? I was especially astounded at how long germs can live in the air and how far they can travel. It makes sense now why everyone is sick in the fall and winter months with more people cooped up indoors. Around 3 million Canadians suffer from asthma and September is considered to be the “Asthma Peak”. This month, there is a 1 in 4 chance a child with asthma will need to go to the hospital because of a flare-up of symptoms. Thankfully, neither of my girls suffer from asthma, but I am familiar with the disease. One of my childhood friends had asthma and had to take a puffer regularly. She was allergic to pet dander, dust, cigarette smoke to name a few. I remember her not being able to come to my house to play because we had a dog. There was also a time at her cottage when she had an attack and needed her medication immediately. It was scary to watch as a kid. The good news is that there is a new air purifier now on the market in Canada that is the first and only one certified by the Asthma Society of Canada. Fellowes Canada recently launched its AeraMax line of air purifiers designed to help people breathe better in their homes and offices. Its launch has come at just the right time for Asthma Peak season. Even if no one has asthma in your home, you can still benefit by owning one. They are designed to protect allergy sufferers, people with a cold or flu and anyone who wants to clean up the air in their home. 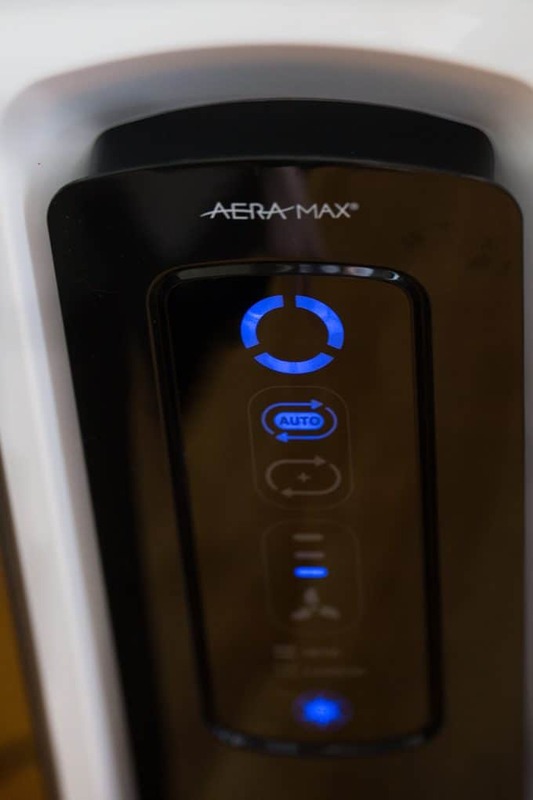 I have an AeraMax 100 Air Purifier in my home and feel better knowing it’s here doing its job to improve the air quality in my home. Bridget, my youngest, seems to pick up whatever sickness going around so easily. The AeraSafe Antimicrobial Treatment gives it built-in protection from the growth of odour causing bacteria, mildew and fungi on a True HEPA filter. The AeraSmart Sensor monitors air quality and will adjust the fan speed automatically to keep your air purified. You can tell the purity of your air by the coloured lights on the machine. Aera+ Mode increases air flow by up to 50% compared to the lowest setting. It’s designed for peak allergy conditions. A Filter Change Indicator will let you know when it’s time to replace your filters. 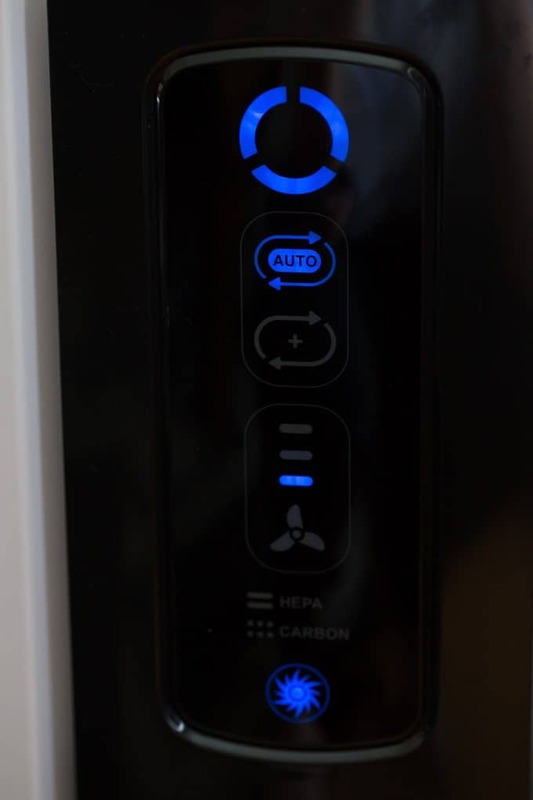 The Carbon Filter removes odours and captures large airborne particulates. The True HEPA filter takes care of even the tiniest particles and impurities like mold spores, pollen, dust mites, most airborne microbes, allergen and cigarette smoke. I placed ours in the central hub of our home on the main floor. It’s the area where we spend most of our time so I figured that would be the best spot for it to do what it does best: clean the air. Want to buy an AeraMax Air Purifier for your home? Pick one up at Staples.ca, Amazon.ca, BestBuy.ca or Canadian Tire. They range in price from $199 to $359, depending on the model you buy. For me, I like having the peace of mind knowing it’s doing it’s job to protect the air my family breathes! Are you concerned about the quality of the air in your home? I learned that indoor air is a lot worse than outdoors! AERAMAX not only cleans the air but also gets rid of odor. 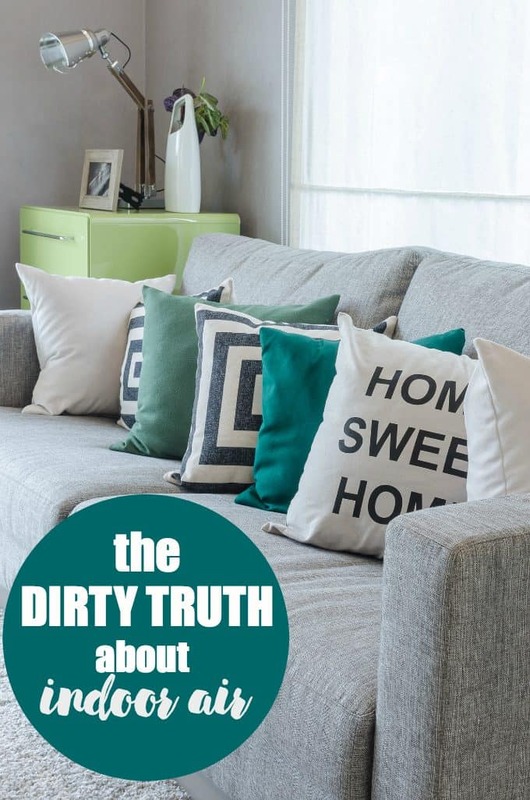 I learned that indoor air can be more polluted than outdoor air – by 2 to 5 times! I was surprised to learn that indoor air is more polluted then outdoor ! I learned it safely removes 99.97% of airborne particles as small as 0.3 microns! I learned that upholstered furniture can contain decomposing insect parts, pet dander and the flakes of human skin .YUK!! I was astounded by the sheer quantity of indoor air pollutants. Indoor air is polluted than outdoors. I learned that the air inside the home could be more pollutted than the air outside. i love the touch screen and that it picks up 99%+ of airborne particles..this would really help with pets and allergies!! 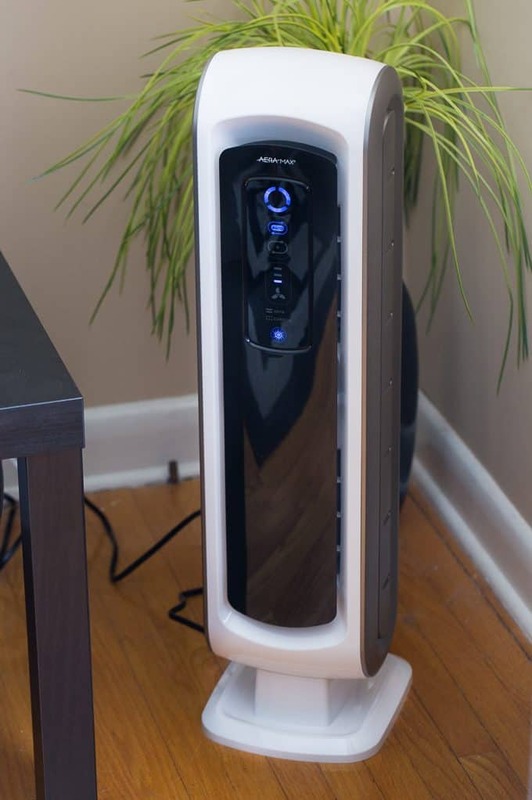 I learned that fellowes Air Purifiers can help reduce allergies, viruses and germs. I learned that indoor air can be 2 to 5 times more polluted than the air outdoors! I learned that indoor air may be 2 to 5 times more polluted than the air outdoors. I learned that indoor air can be more polluted than outdoor air Woah!